One of the biggest pieces of news in the past few weeks is Christie’s announcement that Leonardo Da Vinci’s Salvator Mundi (1506) will be offered as a special lot in their Post-War and Contemporary sale on 15 November in New York. It is one of less than 20 surviving paintings by the artist, and it is reported to be the last Da Vinci painting in private hands. If this painting could speak, it would have quite the story to tell. While the history of the painting’s inception is fairly interesting (painted by Da Vinci for Louis XII of France), the story of where it has been for the past 500 years has more mystery, drama, and intrigue than the plotline of a Mexican soap opera. The work was recorded as having been owned by Charles I of England, and it was included in the inventory of the royal collection in 1649. The next mention of the painting was more than a decade later, in 1763, when it was sold at auction by Charles Herbert Sheffield, the illegitimate son of the Duke of Buckingham. This auction followed the sale of Buckingham Palace to the king. After this sale, Salvator Mundi disappeared once more. When it reappeared in 1900, it was a different painting entirely. Somewhere along the line, an individual decided to add his own artistic vision to Da Vinci’s masterpiece. In an act borne out of extreme hubris or ignorance, this individual painted over the hair and face of Jesus. The identity of the painting was changed, and its history forgotten. At the beginning of the century, Salvator Mundi was sold to Sir Charles Robinson (1824-1913) as a painting by a follower of Da Vinci. Robinson served as an advisor to Sir Francis Cook (1817-1901) and helped him amass an encyclopedic collection of masterpieces for the Cook Collection in Doughty House, Richmond. Due to financial problems, the majority of the Cook collection was auctioned off in the mid 20th century. Salvator Mundi appeared at auction again in 1958. At this point, it was still considered to be the work of one of Da Vinci’s followers, and was sold for £45. Finally, in 2005, it was purchased by a consortium of art dealers, including Alexander Parish and Robert Simon, from an American estate auction. The work was reportedly sold for less than $10,000. After years of extensive research and restoration, Salvator Mundi was finally authenticated and attributed to Da Vinci. It was presented to the public in the 2011 exhibition Leonardo da Vinci: Painter at the Court of Milan at the National Gallery in London. Soon after its reattribution, sources report that the painting was estimated to be worth around $200 million. Finally, only several continents and half a century later, Salvator Mundi had finally reemerged from the black hole of history. The masterpiece sat safely in a prestigious institution where members of the public could finally appreciate it, and all seemed right with the world. Unfortunately, like all happy endings, this one was too good to be true. In true soap opera style, the remainder of this painting’s story involves greedy billionaires, profiteering, and lengthy legal disputes. In 2013, the dealers Parish and Simon decided to sell the work privately through Sotheby’s auction house. Salvator Mundi was reportedly purchased by Yves Bouvier, the notorious Swiss “free port king”, for $80 million. In that same year, Bouvier resold the painting to the Russian billionaire Dmitry Rybolovlev, for $127.5 million. Salvator Mundi was one of 38 artworks privately sold to Rybolovlev by Bouvier. When Rybolovlev discovered Bouvier’s sizeable profit margin, Bouvier was detained in Monaco on accusations of fraud in February 2015. The court case has spanned many years and several continents, and the proceedings are packed with enough crime and international intrigue to fill several novels and a documentary. Unfortunately, Rybolovlev was not the only person upset about Bouvier’s extra $47.5 million. The dealers Parish and Simon believed that Sotheby’s was aware that the Da Vinci masterpiece could have commanded a much higher price, and threatened to sue the auction house. Sotheby’s denied the accusations, claiming that they were in the dark about Bouvier’s intentions to resell the work. 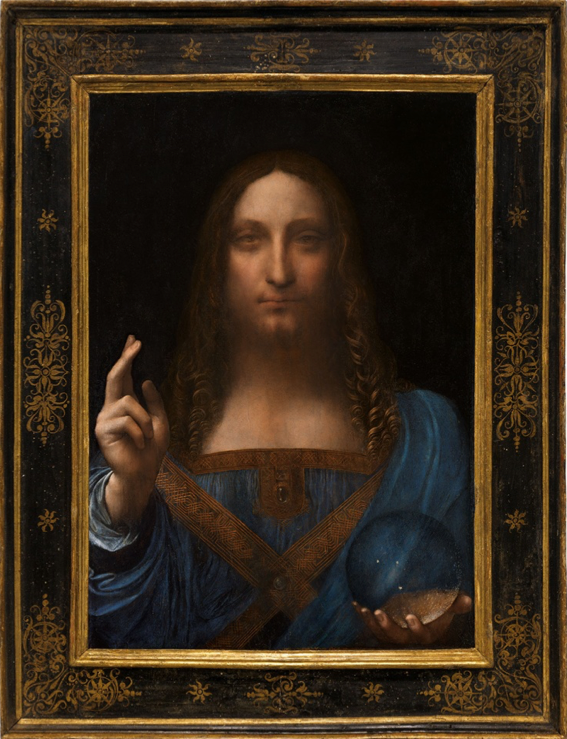 Here we are, in 2017, and the Salvator Mundi saga continues as Rybolovlev offers it at Christie’s in November. The work has a presale estimate of $100 million, and it has already been guaranteed by a third party. We can only hope that Salvator Mundi, like a child caught in the middle of a custody battle, will finally find some peace and quiet in its new home. In the meantime, Christie’s will be touring the work around the world, with stops in Hong Kong (13-16 October), San Francisco (18-20 October) and London (24-26 October). For a more in depth analysis of the auction market for Old Masters, read ArtTactic’s Old Master Auction Analysis.